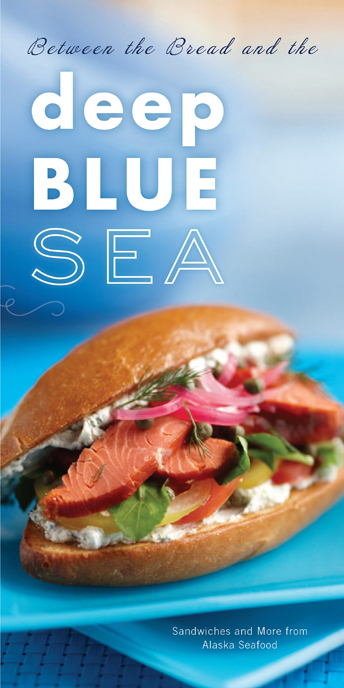 The Alaska Seafood Marketing Institute (ASMI) released a new sandwich recipe book titled Between the Bread and the Deep Blue Sea. This new culinary resource aims to help operators offer their customers versatile, on-trend, premium sandwiches with wild and sustainable Alaska seafood. This new book includes recipes for sandwiches such as Alaska Sole Meunière, Salt & Pepper Alaska Cod, and Smoked Alaska Salmon Deli sandwich. According to the 2010 Technomic Sandwich Consumer Trend Report, sandwiches are a continued interest at foodservice. Consumers report eating 3.4 sandwiches per week. One of the factors driving sandwich purchases is quality. Consumers indicate that the quality of the meat (86 percent), the freshness of the ingredients (84 percent), and the quality of the bread (81 percent) have the most impact in creating a good sandwich. The report also indicates that there’s room to grow for operators. Slightly more than half of consumers polled (52 percent) say they are satisfied with the options offered at sub shops and delis, and just 42 percent are satisfied with full-service restaurants’ sandwich offerings. The Alaska seafood brand is well recognized by consumers as the second most commonly specified brand on U.S. menus (Dataessential Menu Trends U.S. Chain and Independent Database 2008). And according to the Hale Group (2008) 77 percent of consumers reported that seeing the Alaska seafood brand on a menu would influence their selection. Between the Bread and the Deep Blue Sea is available free of charge to foodservice professionals.